2018 has been one hell of a year for Telone considering how much the state-owned telecoms operator lost as result of vandalism on its infrastructure. 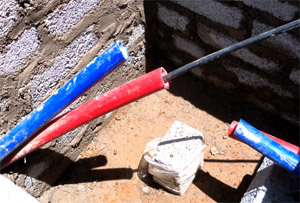 During the course of the year, the telecoms company reported a string of cases where thieves stole its cables and sometimes villagers dug out cables out of curiosity. The scourge of vandalism has led to the following challenges for TelOne; monthly revenue loss . . . (and) loss of customer confidence in TelOne’s service leading to a damage of the company’s reputation…..The company’s reputation index has deteriorated from 54, 4 percent in Q1 (first quarter) 2018 to 51 percent in Q3 2018 (and) incurred costs of more than US$913 000 for repair of damaged network through labour costs and cost of replacing the stolen cables….More than 30 000 customers have been affected by the service disruptions thereby impacting revenue generation. TelOne lost most of its revenue in May (US$399,927); June (US$446,316); July (US$207,130) August (US$334,116); and September (US$286,428). I guess it has been a case of sheer bad luck for Telone to experience this because it’s not the only internet service provider with cables, Liquid Telcom has too. So I wonder why these types of vandalism are only occurring to them. To tame this problem, Telone has of late introduced a rewards programme for those who report criminals who steal or damage their infrastructure. Maybe in addition to that, they should do mini-awareness campaigns to educate people, especially in remote areas, about the importance of this infrastructure. The case of villagers digging out cables tells that there are some people are who are completely unaware of what these cables are used for. They are also VERY careless with their own infrastructure – can’t just blame the public. In my neighbourhood they were installing fibre on poles – there are dozens of abandoned gum poles everywhere, the fibre runs through trees where it is easily damaged and they have even left some termination boxes just lying on the ground even in rainy season. The teams are very sloppy. Even when they do manholes for underground fibre those things look like a total mess. Yes I agree to that, you can find out that when there is a fault, sometimes the cables are broken, lying down carelessly, they take a long time to attend to the fault which results in permanent loss of such cables, If we look at ZETDC company, they take effective attention to such faults so they (TelOne) must do likewise to avoid such losses.